Lazarus was the final project of David Bowie. 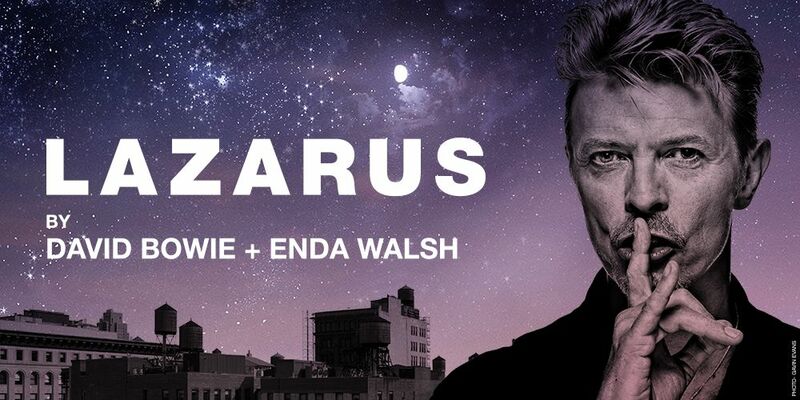 First staged in New York in late 2015, Lazarus has enjoyed sell out seasons in New York and London. This will be the Australian premiere of the ground-breaking musical. Featuring 18 David Bowie songs including 'Changes', 'Heroes' and 'Absolute Beginners', Lazarus is inspired by the novel The Man Who Fell to Earth by Walter Tevis – and the movie which also starred David Bowie. The story focuses on Thomas Newton, an alien, as he remains on earth, unable to die. We follow him during the course of a few days where the arrival of another lost soul might finally set him free. Chris Ryan, whose performance as Monty Navarro in A Gentleman’s Guide to Love & Murder wowed Melbourne last year, takes on the lead role of Newton. Iconic singer iOTA makes his debut with The Production Company in the role of Valentine. The distinguished creative team is headed by Director Michael Kantor, Musical Director Jethro Woodward and Choreographer Stephanie Lake. “Wild, fantastical, eye-popping. A surrealistic, tour de force"
“David Bowie's parting gift to the world"